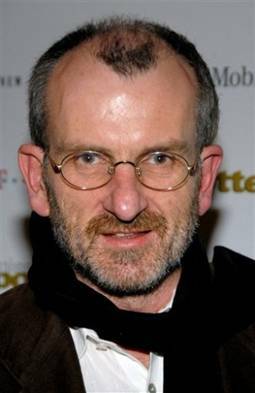 Anthony Buckley AM Anthony (Tony) Buckley is a prominent film producer whose feature credits include Caddie, Bliss, The Oyster Farmer, The Irishman, and Dad and Dave: On Our Selection. His career began as a projectionist at Cinesound in the 1960s, where he eventually became managing editor of Cinesound Review. 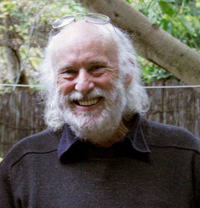 He has been a board member of a range of film and television industry bodies (including the NFSA) and the recipient of numerous awards, including the NFSA’s Ken G Hall award for film preservation (2000) “for his vision and active support from the 1960s for the establishment of an autonomous NFSA”. He has also been a prolific maker of documentary films including A Steam Train Passes, Palace of Dreams, Now You’re Talking and, in 1966, Forgotten Cinema, the pioneering compilation film about the history of Australian feature film production. Chris Noonan - Filmmaker and actor. On leaving school in 1970 he went to work at Film Australia as a production assistant and in 1973 was part of the inaugural intake of the Australian Film and Television School. He produced the acclaimed documentary about a troupe of handicapped actors, Stepping Out, in 1980. He wrote and directed his first theatrical feature, Babe, in 1995, gaining Academy Award nominations. He served as President of the Australian Screen Directors’ Association (1987-88) and as Chairman of the Australian Film Commission (1990-93). 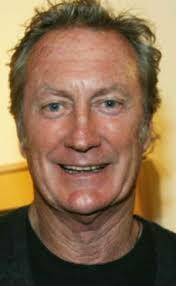 Bryan Brown AM - Australian actor. Bryan became known internationally for his performance in Breaker Morant and his extensive filmography includes Stir, Far East, Gorillas in the Mist, Two Hands, Australia and The Odd Angry Shot. His television performances are equally extensive and include A Town Like Alice, Eureka Stockade, Age of Treason, Twisted Tales, On the Beach and Old School. He was inducted into the Logie Hall of Fame in 1989. He was made a Member of the Order of Australia in 2005 for service to the community through a range of charitable organizations supporting families and young people. 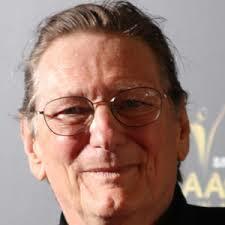 Fred Schepisi AO - Film director, producer and screenwriter. Beginning in the industry by directing commercials and documentaries and later becoming the Victorian manager of Cinesound Productions, he made his first feature film The Devil’s Playground in 1976. His subsequent filmography includes The Chant of Jimmie Blacksmith, Evil Angels, The Russia House, Last Orders, mini series Empire Falls, and The Eye of the Storm. His many awards include the Australian Film Institute Raymond Longford Award for lifetime achievement. 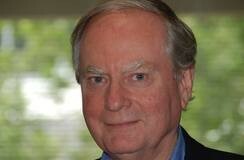 Andrew Pike OAM was a founding member (in 2000) and former president of the Friends. He is an independent filmmaker, distributor and historian. His Canberra-based company, Ronin Films, was established in 1974. He co-authored with Ross Cooper the authoritative reference book on Australian cinema, Australian Films 1900-1977, published in 1980. Throughout a busy career he has received numerous honours and awards, including an hon-orary PhD from the University of Canberra (2007) and the Australian Film Insti-tute’s Byron Kennedy Award (1986).Andrew has been associated with the NFSA in various capacities since the 1970s. He was a member of its Advisory Council (2000-2003) and later a member of its first governing Board (2008-2012). Alan Rydge is Chairman of Event Hospitality and Entertainment Ltd and its associated companies, which includes the Event and Greater Union cinema chains, the Rydges Hotel and Resort group and Cinesound Movietone Productions. Beginning as Union Theatres in 1913, the company has a century-long record as a film producer, distributor and exhibitor. Alan’s involvements in the film community are multifarious. He is a past presi-dent of the Society of Australian Cinema Pioneers, and a patron of the Motion Picture Industry Benevolent Society. A long time supporter of the NFSA, Alan was the joint re-cipient in 1995 of the NFSA’s inaugural Ken G Hall Film Preservation Award, recognising his company’s sponsor-ship of Operation Newsreel, a five year program to safe-guard the vast Cinesound and Movietone newsreel collec-tion. UNESCO has since formally recognised the world significance of the collection in its Memory of the World program. 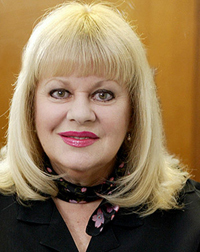 Patricia Amphlett OAM is the Friends’ newest patron. Under the stage name of “Little Pattie”, Patricia was one of Australia’s best known singing stars in the 1960s and 1970s: at the age of 17 she became the youngest (and shortest) person to entertain Australian troops in Vietnam. She was actually singing on stage when the Battle of Long Tan started just 4 km. away, and her performance came to an abrupt end! She later moved on to adult contemporary music, and with other entertainers she sang in the famous “It’s Time” television commercial for the 1972 Federal election campaign. She has served as the National President of the Media, Entertainment and Arts Alliance, as Vice President of Actors Equity, on the Council of the Australian War Memorial (1995-1998) and on the Board of the NFSA (2011 to 2014). Patricia was inducted into the Australian Recording Industry Association (ARIA) Hall of Fame in 2009. She is currently a singing teacher at various high schools in Sydney.